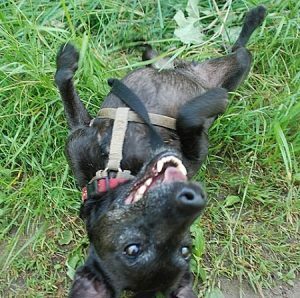 Cute little Basil is a 9 year old Patterdale Terrier in the care of Rescue Remedies at the kennels they use in Guildford, Surrey. He’s looking for an adult only retirement home, as an only pet. 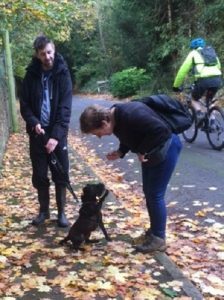 He has many regular walkers who really love him and one particular favourite of his, fosters him every weekend she can, as he’s such a star! 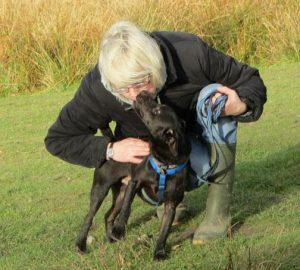 Many volunteer walkers have written lovely things about Basil, highlighting his affectionate nature. Cuddles and tummy rubs are two of his favourite things! Another said, “I walked Basil for the first time today. What a treat! It was pouring with rain but he was great. He walked brilliantly and although he was interested in everything (including other dogs) he didn’t react to any of them. Even when a big GSD had a bark at him. 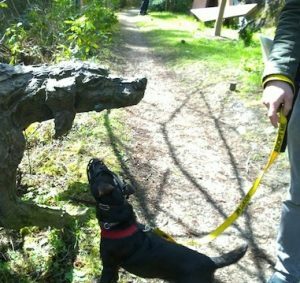 Yes, OK, this is a sculpture of a big dog but check out the slack on Basil’s lead! “He was his usual loving self. I lay on the grass next to the canal, and had a lovely canoodle with him. We lay there for ages, having not really walked very far. He was just so happy to have this contact…it’s all he needs! Basil is a Terrier lover’s dream dog! He’ll be right there with you on all your adventures and will snuggle up to you, whenever you sit still long enough. 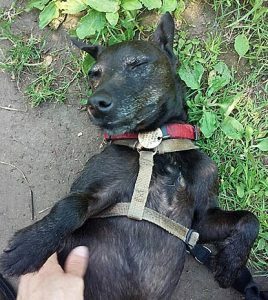 If you’d like to find out more about him, please contact Rescue Remedies by filling in their online homing questionnaire. To access it click here. 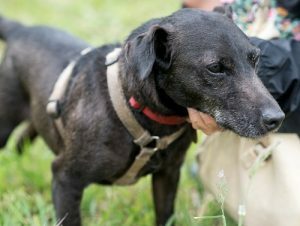 Please say you saw Basil on the Oldies Club website. This replaces Basil’s original page dated 12th December 2017.